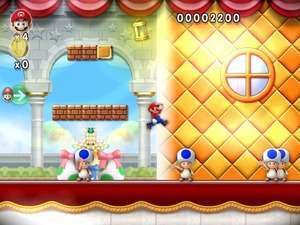 Enter to world of New Super Mario Forever 2012 fight on eight large maps filled with plenty of levels and secret stages. use many powerups like tanooki, bomberman, Boomer-Man, Wegetable Super Power, Power star, Power Clock, Fire flower and much more! The diversity of the levels is very impressive. Game has also renewed graphics and much better scrolling in comparison to the original Mario. For security reasons, you should also check out the New Super Mario Forever 2012 download at LO4D.com which includes virus and malware tests. Additional screenshots of this application download may be available, too. New Super Mario Forever 2012 has a presence on social networks.